Hisun motors needed a clean and responsive website rebuild. 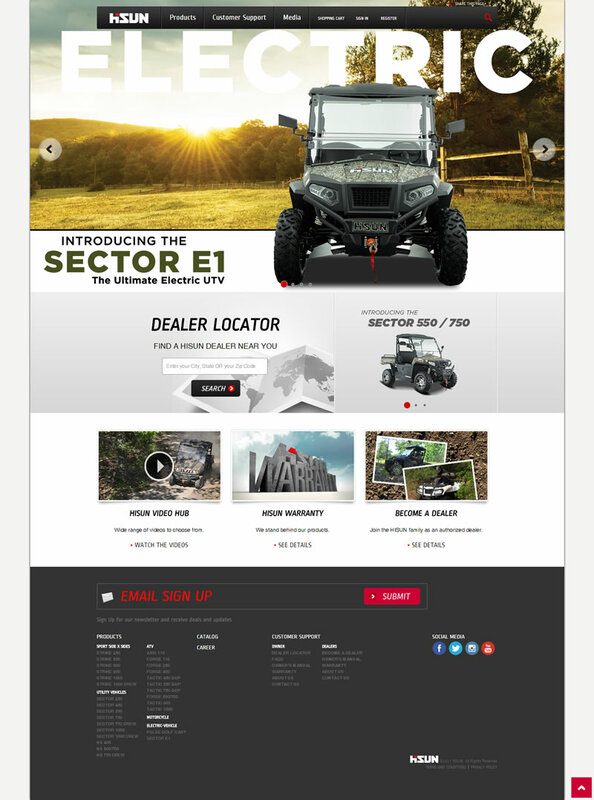 The focus of the new site was to showcase Hisun’s line of UTVs and ATVs. We also created and added features such as the “Build Your Own” feature to show how the vehicles could be customized. Hisun USA offers a complete line of unique and versatile UTVs and ATVs, with a common focus of surpassing industry expectations. Hisun’s U.S. headquarters is based in McKinney, TX, and operates in a 300,000 square foot facility housing final assembly, parts fulfillment, administration, and tech support.